The first two programs was relayed and the rest via their own home-build transmitter. Capable of approx. 25 Watts. 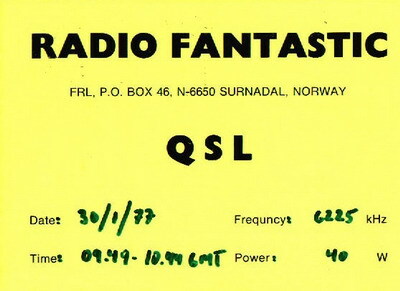 This was in 1977 and Radio Fantastic lasted for about a year.